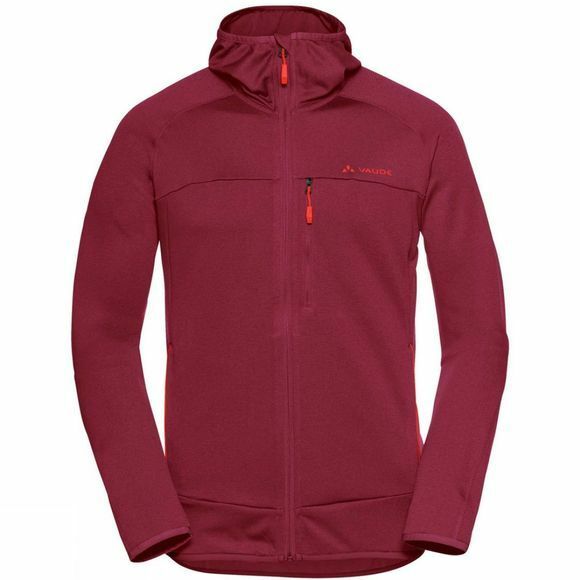 The Mens Tekoa Fleece Jacket from Vaude, is a comfortable, functional and casual: Vaude's lightweight midlayer is an ideal all-rounder for mountain sports. 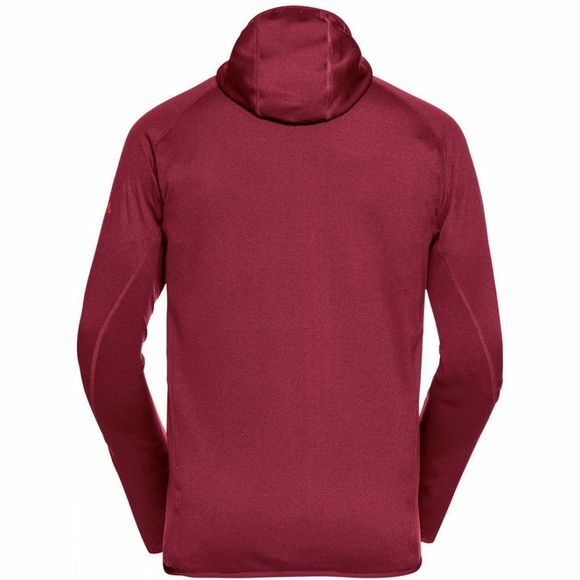 The stretchy knit fabric is exceptionally comfortable, while the inner waffle structure improves moisture transport outward and provides comfortable insulation. The jacket is an ideal complement to a hardshell in rainy weather; in mild temperatures it's a casual hoody for climbing, slack lining or just hanging out. The textile materials are certified in accordance with the bluesignsystem, the world's strictest standard for environmental protection and worker safety. The Vaude Green Shape label stands for environmentally friendly, functional products made from sustainable materials.